Conducting a research pertains to a plethora of reasons in today’s world. From students to professors and professionals to debutants, researching a topic has become a new trend. Also, research plays an important role in any kind of field- be it science, commerce or humanities. Hence, writing a research proposal is a desirable achievement for any person. You may be given the task of writing a research proposal by your professor or senior or you might want to start your own research. In any case, a research proposal accounts for few basic reasons. Primarily, it aims at evaluating one’s thinking process, understanding comprehensive review of a general problem and analyzing critically acclaimed data. A research proposal also aims at improving one’s way of writing and research skills. There are many ways to present your research ideas. However, it is not as easy as writing any other essay. Your research proposal should be accurate and contented in every sense of the word. A person going through your proposal should feel satisfied enough to appreciate or even fund your research idea. You may have undertaken a research or you might be still dwelling on the idea. 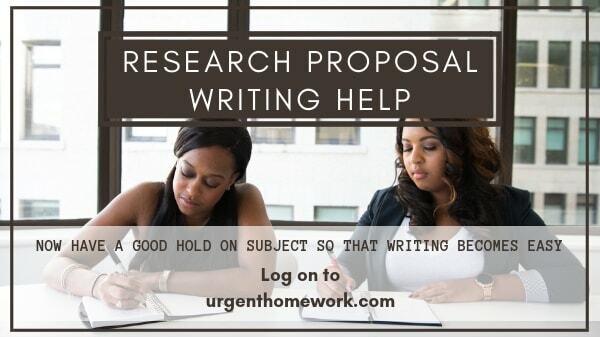 Either case, a research proposal is a must. Crafting an impressive research proposal takes a lot of time as well as effort but with the right amount of knowledge and perseverance, you can accomplish the task. In this article, I will take you through detailed steps of writing the best research proposal. To begin a research, an idea is obviously necessary. However, you just cannot begin a research on Cinderella’s shoe. In other words, you cannot base your research on some randomly out of the blue topic. You should have a certain aim at finding or validating something. A topic with enough useful conjectures to it is sufficient to start a research. For example, one can start a research on any scientific topic such as ‘Futuristic use of magnetic fields’. Literary or historical accounts can also be taken up for research such as ‘Age of Indus Valley Civilization’. An abstract is a short version of an introduction to your research. Basically, it consists of the major idea, resources involved, aims and objectives along with the predicted effects. The abstract aims at introducing your idea to other people and follows a certain format. However, it never explains the observations and conclusions of your research since that is left out for your research proposal. To cut the long story short, an abstract gives a basic idea of your research and becomes a deciding factor for the reader or scholar. The introduction lasts from about two to three paragraphs owing to its general significance. You are supposed to initiate your idea by emphasizing the initial thoughts and what course you want this project to take. You should explain how you came upon this idea and how you want to shape it using the available resources. You should mention the methods and ideologies behind your successive research. Most importantly, you should discuss the significance of your research, how it is beneficial for the masses and why higher authorities should prioritize your project. In the following paragraph after the introduction, you are supposed to present the background of your topic. Background refers to the problems or theories which are related to your research topic. Discuss the ways in which your project is formed from the remains or conclusions of a previous project or highlight how it is different from previously researched upon similar topics. In this section, you demonstrate the major problem or issue to your readers. You explain how the issue is affecting people or other phenomenon and how important it is to control the same. You are supposed to evaluate your idea on various positive and negative parameters such as level of usefulness, cost-effectiveness, availability to masses etc. This section is designed in a way for the reader to grasp the underlying concept of your idea and what exactly you are researching about. This section tends to take the reader deeper into your research curriculum by drawing examples of the usage and vitality. The readers get to know the procedure of the research to be conducted or already in progress. Always mention the specifications of your research and make sure that your writing is clear cut and concise. Also, explain the ways in which you plan to collect the information and then on which parameters you would want to analyze the same. Instead of simply providing a list of things, tend to assert detailed applications of each aspect. Moreover, mention the barriers that may arise in your chosen methods and how you plan to overcome them. In this section, you have to talk about how you used your available resources and also about the techniques you have used to present your citations. Methodology refers to step by step analysis of the procedure used in your research. It is essential for your reader to understand the same method of analyzing so as to grasp your conclusions later on. For example, you have used a pie chart to describe different stages of your research, explain the basics of reading a pie chart in the methodology section. This section talks about the utilization of your observations. It needs to make the reader think about how your research can be beneficial in practical terms. Here, you should write about parameters which are necessary to implement your findings. Describe how this research can be shaped up into more impactful forms or interventions. Try to connect the theoretical observations with practical implementations. Note that this section should not delve into opinionated theories. This happens to be the most important section as it proves the significance of your research. You should list your finding in a clean bulletin form. Most readers or evaluators, due to lack of time, turn directly to your conclusions page just to check if your research has held any potential value to them. Hence, this should be the most organized section and should primarily cater to the needs of the reader. Also, make sure that your conclusions stand in correspondence to the points to initiated in the previous sections. While submitting your research proposal for evaluation, it is pretty important to have an idea of what you would like to add on to this project or whether you want to extend it anyway or not. This section talks about how you would like to improvise your project based on your research. It also talks about the theories discussed by you can cater to the needs of other upcoming projects. Generally, research proposals with high valued future prospects gather more vitality and have more chances of gaining an investment or funding. This section is as important as the introduction. It is divided into two separate portions. The first one is called references where you list out the literature which you have cited or actually used in your research proposal. The second one is called bibliography where you are supposed to mention every source, either books, manuscripts or internet, that helped you formulate the observations and conclusions.